Award winners will be announced at the 2019 Minnesota Book Awards Ceremony on Saturday, April 6, at the InterContinental Hotel Saint Paul Riverfront. The official hashtag for social media is #mnbookawards. The Minnesota Book Awards is a year-long program of The Friends of the Saint Paul Public Library that fosters our statewide literary arts community. The process begins in the fall with book submissions and continues through winter with two rounds of judging. Winners are announced at the Minnesota Book Awards Ceremony. Woven throughout the season are events that promote the authors and connect the world of Minnesota books – writers, artists, illustrators, publishers, editors, and more – to readers throughout the state. 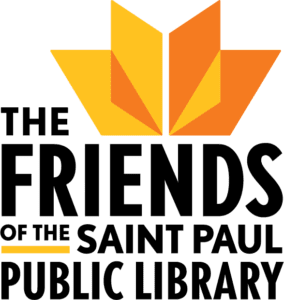 In recognition of this and its other statewide programs and services, the Library of Congress has recognized The Friends of the Saint Paul Public Library as the state’s designated Center for the Book. For more information visit www.thefriends.org/mnba. The Star Tribune is our media sponsor. Outreach partners and supporting organizations include: Minnesota Center for Book Arts; University of Minnesota Libraries; and Twin Cities Public Television.